Saturday, a day to myself. No meal preps, time to go the the Farmer's Market. Time to read, to try out different settings on my camera. Time. DH picked up some metal/wood great junk this weekend. Cloudy day. Lots of great texture for backgrounds. Setting on camera: 50 mm lens, Manual, cloud, ISO changing between 100 to 400, F5.6. What a treat to play around with settings and see different results. The drill handle screws off - a place to store the bits. Used a rusted galvanized oval bucket and a worn out table top as display bases. Slaw cutters and a green tin box for background plus house siding. 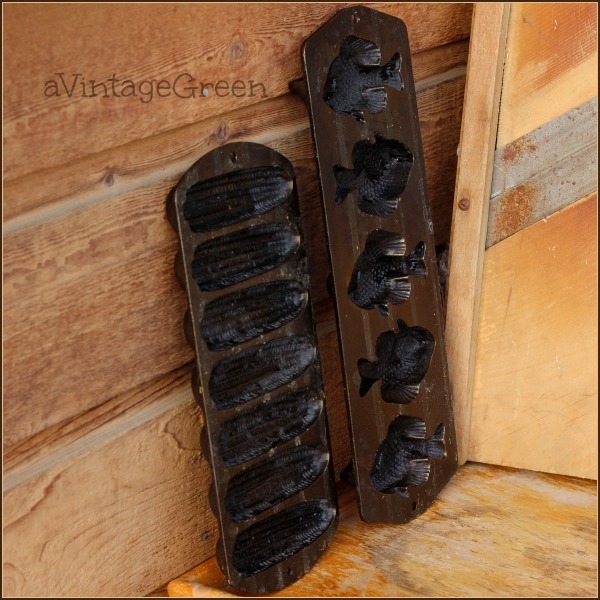 Cornbread moulds - corn and perch. Learning more all the time. 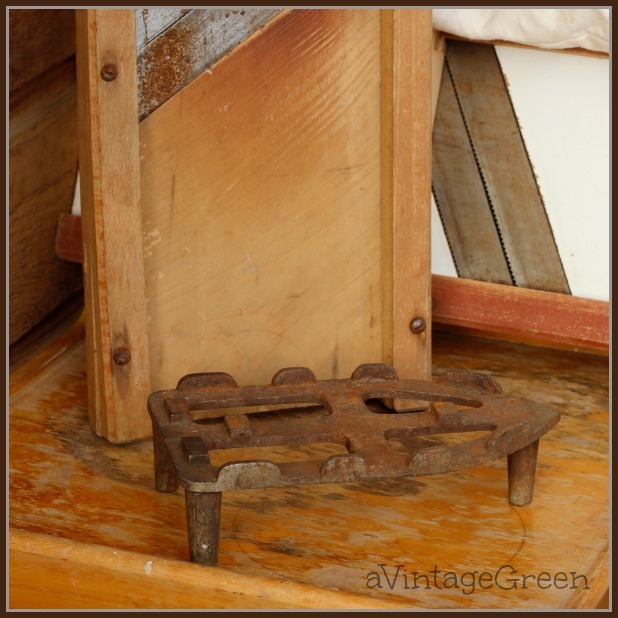 Vintage cast metal well rusted iron rest. 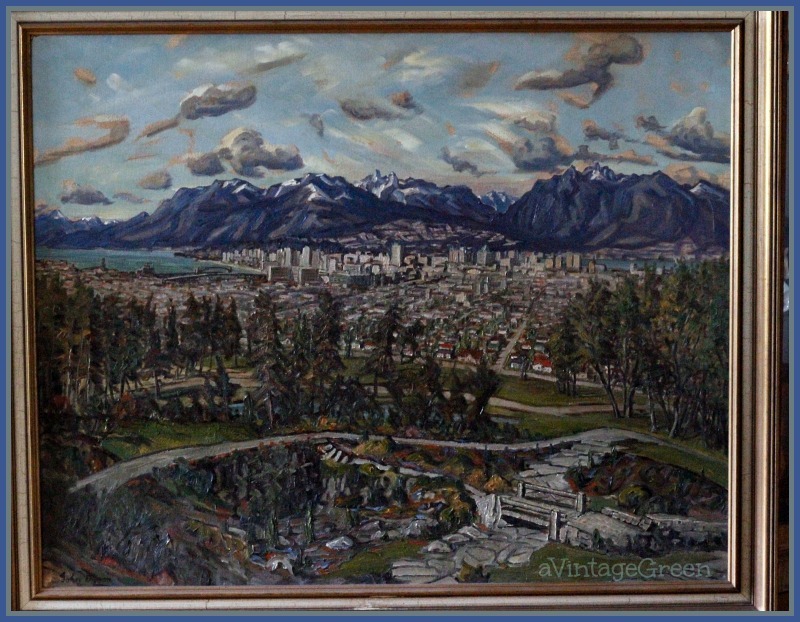 A few weeks ago DH brought home this very large painting, a view from Queen Elizabeth Gardens towards the North Shore (Vancouver BC). Shot indoors, ISO 6400, F5.6, Manual. Jon Giesbrecht Photopgraphy has a photo view somewhat similar to this painting, from Queen Elizabeth Park toward the North Shore (row 6, last picture). Oh, I love your blue painting. Isn’t it fun finding blue? 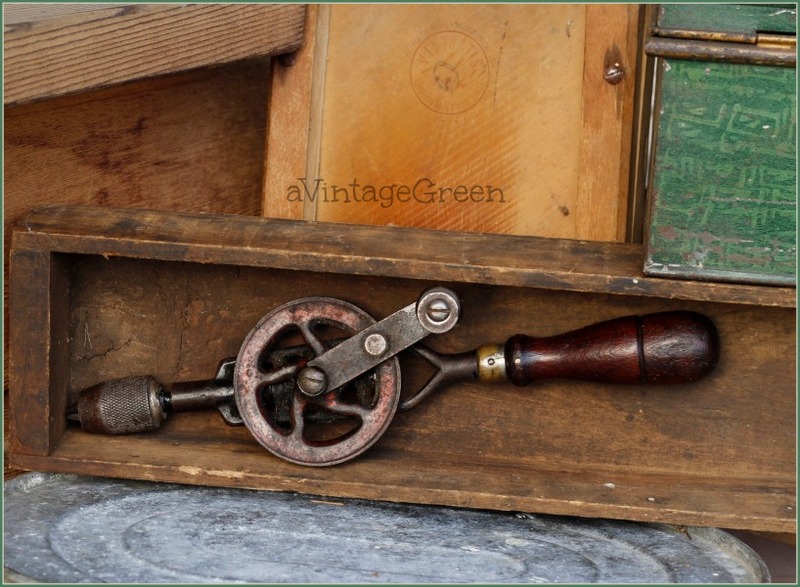 Such intriguing old tools! Your photos are just awesome. So much fun to see the beautiful results when you experiment with your camera. I need to make some time to learn 'manual'. 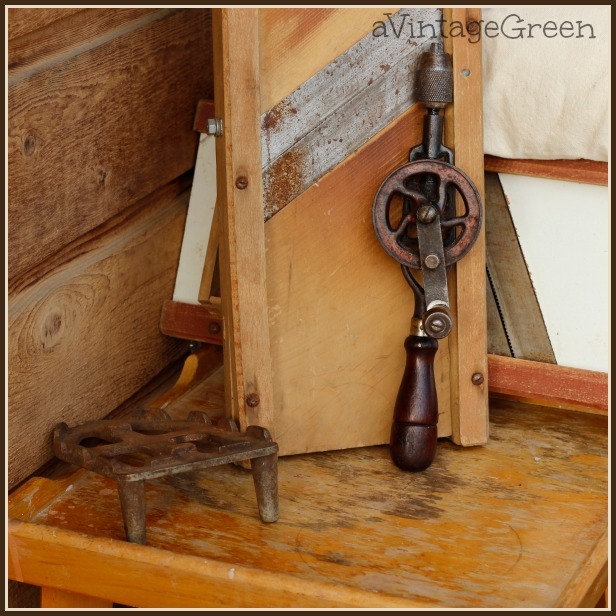 Love the rustic stuff ... DH is a good shopper. I love the tools and the cornbread molds. The photos are gorgeous! I need to experiment with my camera more. My hubs would love that tool. Those cornbread molds would be put to good use in my kitchen. 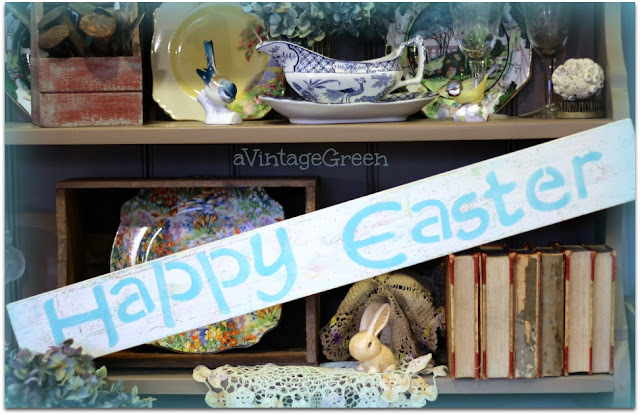 Love your finds! That drill tool thingie is neat. I love old tools. Thanks for sharing. Hello from Flaunt it Friday. Your photography is really growing strong! I will need to refer back to these posts with setting info when I get a better camera. 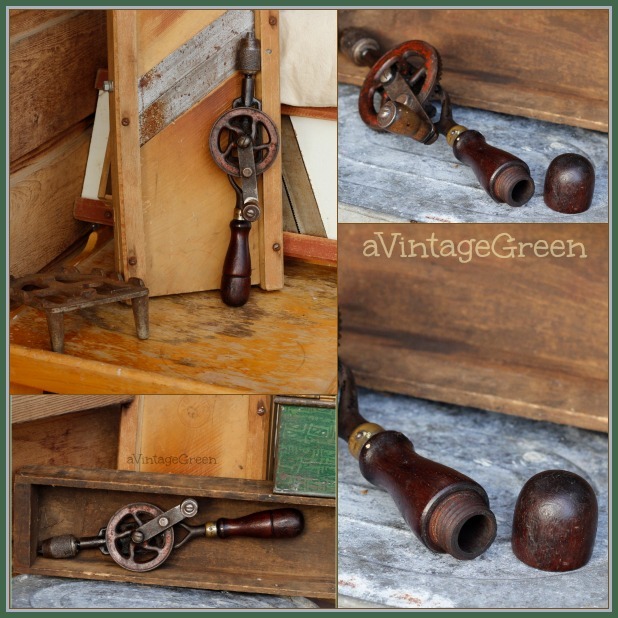 Love the drill in the wood box...Thanks for sharing at Revisionary Life Thrifty Life Thursday Link Party!